Living in an era where preservation takes priority, it’s difficult to imagine a time when conserving sites of significance or beauty did not take precedence. Throughout history, buildings have been torn down, blown up and set ablaze, with governments unable to override the decisions of private landowners. What’s more, in dire times, when war and terrorism has threatened national security, the protection of a particular patch of brick and mortar is often the least of a nation’s worries. Remnants of buildings lost and burned, destroyed and forgotten, litter our landscapes. Which leads us to the question – where should these lost buildings be? What exactly are we missing? When Shakespeare ruefully passed away in 1616, he did so not in London – where he had spent the majority of his adult life – but in Stratford; his birthplace and home of his wife Anne Hathaway. His birthplace has been a golden gem of profitability for the Shakespeare Trust, with thousands making the journey to Stratford each year, but what about the home where he lived, retired and died? 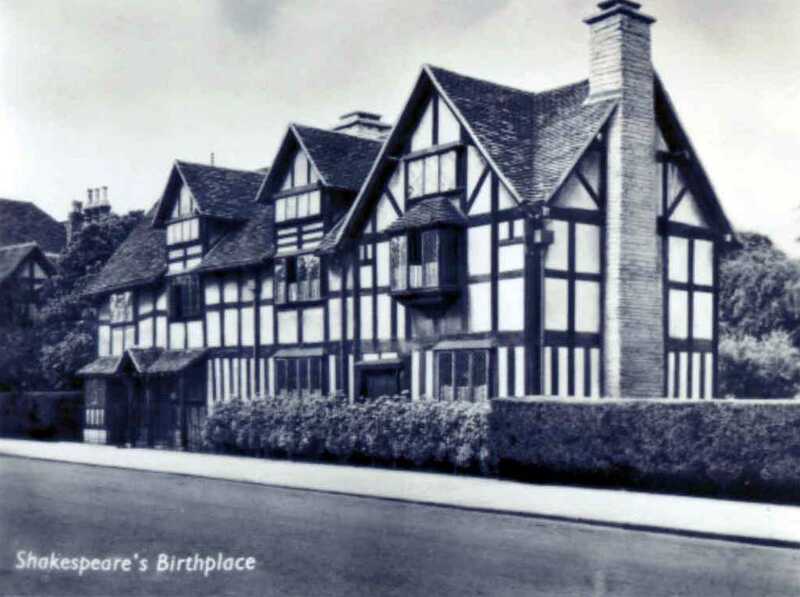 Records suggest that Shakespeare purchased the oft-overlooked New Place in around 1597 for the mighty sum of £60, and that it was inhabited by Anne and his daughters before he officially retired there in 1610. After the death of his wife in 1623, it passed hands a number of times until it was eventually purchased by Francis Gastrell who, in a fit of rage at the number of gawkers coming to peer at Shakespeare’s home, had it destroyed in 1759. No replica has been created, meaning that whilst visitors can admire the foundations of where New Place would have stood, all they have is “imagination” to recreate the image of “the forms of things unknown”. When discussing Dresden post-1945, it may be simpler to list the buildings that were not in some way harmed by the blasts and bombs of WW2, than those that did suffer. However in this town of lost Baroque architectural sites, one place in particular stands out: the Sophienkirche, the only gothic style church in the city. 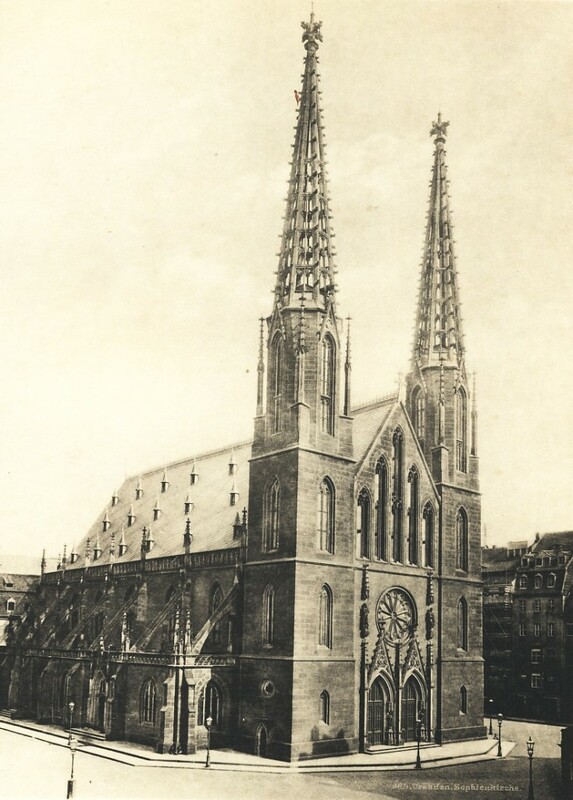 In truth, it wasn’t the bombs of war which eventually lead to the destruction of this beautiful church, adorned with twin neo-gothic spires. Though the savage effects of war destroyed part of the building, it was not until the fateful words of one politician in 1642 who suggested ‘a socialist city does not need gothic churches’ that it was doomed to such an unfortunate fate. Visitors can now expect to be greeted with a far less attractive 1990s’ office block in the Postplatz where the Sophienkirche once stood. From childhood onwards we are told tales of Greek mythology, and there is perhaps none more appealing than that of the mythical half man, half bull, Minotaur residing within King Minos’ labyrinth. The beast who, according to legend, was eventually slayed by Prince Thesus, was concealed within the complex maze and fed on the terrified bodies of King Minos’ enemies. Whilst the story itself is fictitious, the palace does exist in a small town on the island of Crete. Coins found on the site have been embellished with the image of the Minotaur and a labyrinth in honour of the legend, yet evidence of the actual existence of a labyrinth has yet to be discovered. 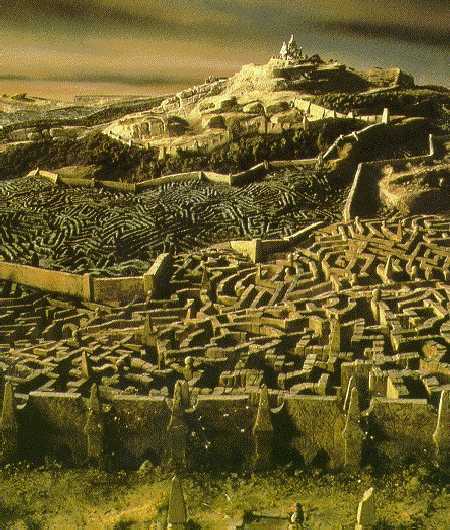 According to some archaeologists, however, the palace itself was built on such an enormous scale, with rooms and corridors seemingly added on in a logic-defying, haphazard manner that perhaps the palace was this reputed, mythological labyrinth. The ruins and structure of this enormous palatial building have been restored and are open to the public for visits. The easiest way to reach the ruins is to stay in Malia (check reviews with HolidayCheck before booking, as this area is generally quite lively and popular among the younger school-leaving crowds and you’ll want to make sure your hotel isn’t one designed for them!) and take a bus (public transportation is generally very reliable) or hire a car from the town. 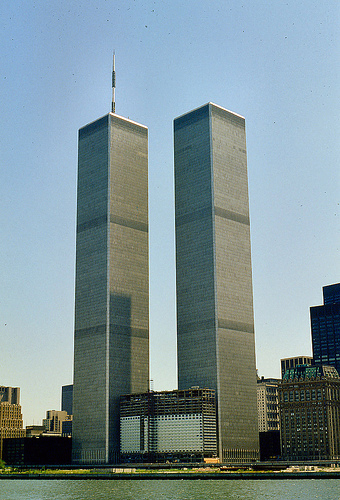 The story of the Twin Towers in New York is so recent and fresh, played so many times over on television and discussed at length in the media that there is no real need to describe the story behind it. One thing that is unusual about this site and others like it, however, is the aftermath. Guided walking tours, a museum, thousands of tourists flocking there every week; Ground Zero in itself has become a site that is far more out-visited than the buildings that preceded it. The sheer attraction of the barren land of this missing building is described as ‘dark tourism’, an impulse driven by the same desires and motivations as visits to Auschwitz. Experts suggest that returning to the site of mass harm and destruction plays a vital role in our ability to learn from history’s mistakes. The destruction of the Library of Alexandria is one of the more famous ‘whodunits’ in architectural history. 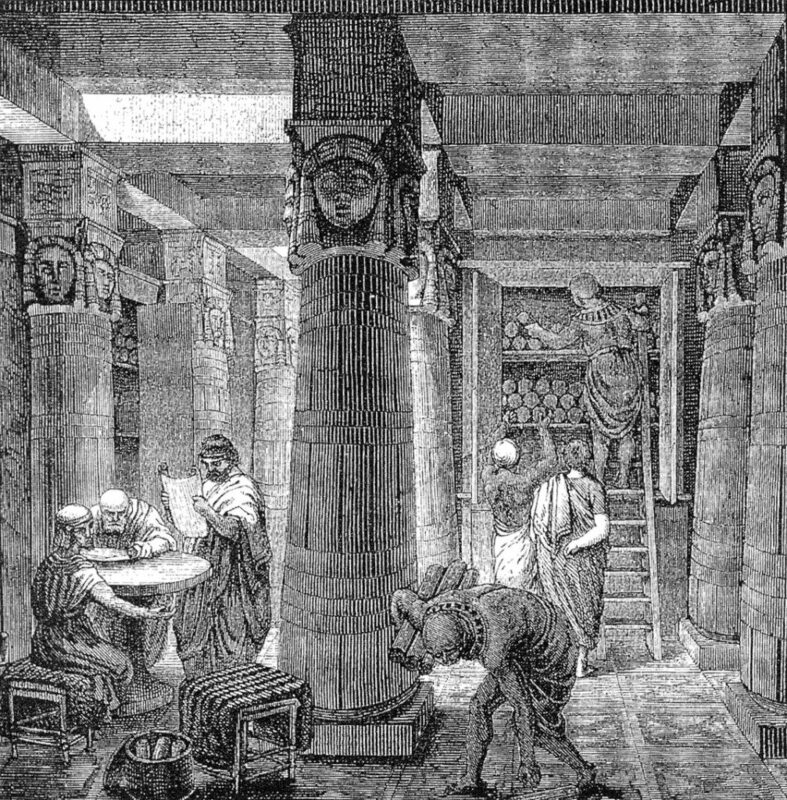 The library, in the Egyptian city of Alexandria founded by Alexander the Great, was the largest recorded throughout ancient history, and was designed to keep all of the world’s knowledge in one place. Culpability reddens many hands in the historical recollections of this tragic destruction; Julius Caesar, Emperor Theodosius I, and the Muslim army of Amr ibn al `Aas, but to name a few. Contents that were salvaged and stored in the Library of Constantinople were later destroyed in a subsequent fire. Those who visit the site now can appreciate the Biblioteca Alexandrina, there to replace and remember the memory of this incredible building and study spot of some of our greatest, renowned thinkers. Facebook and Instagram, down to reason unknown! The image for the Alexandria library is incorrect. This image is of the library of Celcus at Ephesus in Turkey.